I have a long and varied career in HVAC. I started by working in my uncle’s sheet metal shop while in high school and then earned a technical certificate in HVAC from ITT Tech. I primarily worked in the installation and service side of the business for years before taking a position as program coordinator and instructor for an HVAC program at a community college in Indiana. I also worked as a field service consultant for Lennox Industries helping dealers solve problems as well as training service and installation techs on proper installation and service techniques. Lastly, I have background in building automation with Siemens. 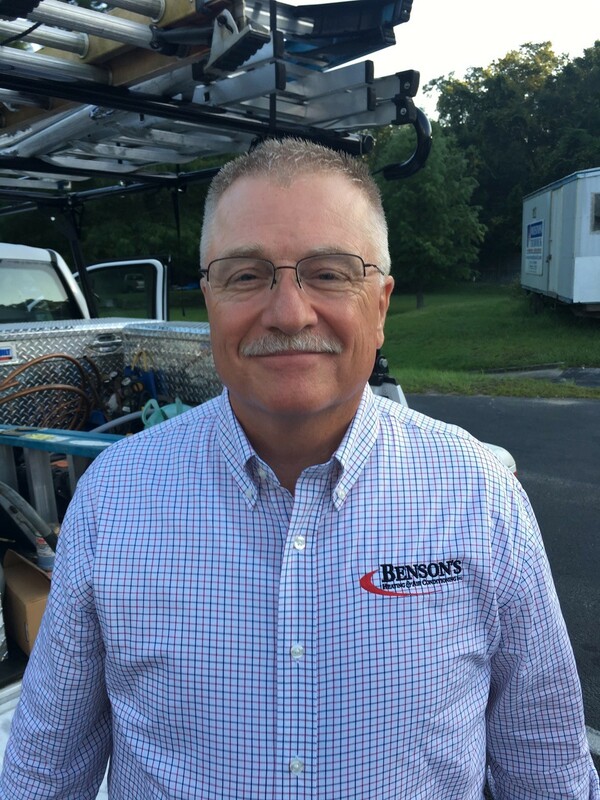 I’m very glad to be here at Benson’s and will be working closely with our equipment change-out crews raising their skills and performance.